URBED worked with Reading Borough Council and Greater Reading Environment Network on a project to create a delivery vehicle to increase the number of renewable energy installations and housing retrofits to help meet the carbon reduction targets for the area. Reading Borough Council and Greater Reading Environment Network have funding to put up solar panels Reading. We are working with Michael King and Co-operative & Mutual Solutions on a company structure and business plan to build on this to create a locally accountable company which can recycle the income from this to create more renewable power installations and provide housing retrofits, such as improved insulation and solar heating systems.Reading are now tendering a contract on the basis of the final report for this project. 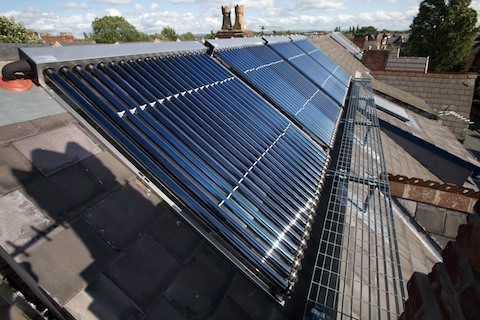 Reading Borough Council and Greater Reading Environment Network have funding to put up solar panels Reading. We are working with Michael King and Co-operative & Mutual Solutions on a company structure and business plan to build on this to create a locally accountable company which can recycle the income from this to create more renewable power installations and provide housing retrofits, such as improved insulation and solar heating systems.